Ground beef recalls continue this week, as hundreds of thousands of pounds of ground beef have been recalled since last month, due to concerns of E. coli (Escherichia coli) contamination. This week, over 377,000 pounds of ground beef was recalled from California and Nevada restaurants. 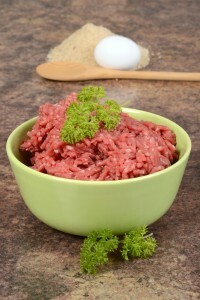 Commercial Meat Co., based in Los Angeles, distributed the now recalled ground beef, which was discovered to have tested positive test for E. coli by the U.S. Department of Agriculture’s Food Safety and Inspection Service (FSIS) during a routine test. Each case bears a label with the establishment number “EST. 4873” inside the USDA mark of inspection. The products subject to recall were produced between Sept. 7, 2011 and Oct. 6, 2011, and were shipped to restaurants in California and Nevada. Though there have been no reports of illness associated with this week’s recall, Fresco Food Distribution’s owner, Al Lemoi, comments that a recall of this magnitude for this company, “could be catastrophic, but for the industry it’s a small insignificant amount.” Ground beef is particularly susceptible to contamination. Mr. Lemoi explained that E. coli is topical, but because ground beef is grinded, bacteria can easily spread across the entire food product. Last month, Fresh Meats Inc.,recalled approximately 131,300 pounds of ground beef products, after it was discoved that it may be contaminated with E. coli. FSIS first became aware of the problem when the agency was notified by the Ohio Department of Health of E. coli illnesses. FSIS is concerned that consumers may have froozen the affected product before use, and that some product may currently be in consumers’ freezers. FSIS strongly encourages consumers to check their freezers and immediately discard any product subject to this recall.